Chicago Hoops Express (CHE) is a girls club basketball program based in Chicago, Illinois. CHE offers basketball training for girls 12 years to 18 years of age. CHE emphasizes both individual AND team development, preparing players to acquire the necessary skills to advance to the collegiate level. For more information on the CHE program, click on "Contact Us" to call or email Jerald Davis. 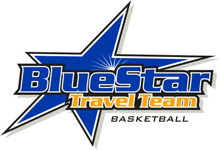 SPONSORS INCLUDE -- Game Gear Sportswear --Blue Star Travel Teams and Triple Threat Hoops.